The DATA Act of 2014 has transformed the way the U.S. government tracks and reports its finances. In May, every federal agency began reporting its spending information as standardized, open data. The Treasury Department has combined these reports into the first-ever unified electronic picture of all federal spending – the world’s most single most valuable open data set. The Data Coalition’s DATA Act Demo Day (June 28th) and the fourth annual DATA Act Summit (June 29th), were the best places to experience the transformation of federal spending from disconnected documents into useful data. The Summit brought together the Congressional allies and administration officials who are driving these changes; the agency leaders who are using newly-standardized data to derive new insights; the nonprofit advocates who are supporting data-driven accountability; and the technology companies whose solutions are doing the work. For federal financial managers, the DATA Act means better decisions. For inspectors general, the DATA Act enables high-tech anti-fraud tools. For grantees and contractors, the DATA Act promises automated, cheaper reporting. For Congress and the public, the DATA Act offers a richer understanding of how taxpayers’ money is being spent. On June 29, the DATA Act Summit explored all these impacts. Data Act Summit '17 - Welcome from Data Coalition on Vimeo. Data Summit '17 - Treasury Keynote from Data Coalition on Vimeo. DATA Act Summit '17 - Senate Keynote from Data Coalition on Vimeo. DATA Act Summit '17 - Plenary: The Importance of the DATA Act from Data Coalition on Vimeo. DATA Act Summit '17 - House Keynote from Data Coalition on Vimeo. Data Act Summit '17 - Treasury Plenary from Data Coalition on Vimeo. DATA Act Summit '17 - The DATA Act Implementation Team from Data Coalition on Vimeo. DATA Act Summit '17 - Analytics and Hackathon Showcase from Data Coalition on Vimeo. DATA Act Summit '17 - Auditing Compliance and Investigating the Data from Data Coalition on Vimeo. DATA Act Summit '17 - Closing Keynote from Data Coalition on Vimeo. DATA Act Summit '17 - Closing Remarks from Data Coalition on Vimeo. Note: Not all speakers used slides. On June 28th, Data Coalition members gathered on Capitol Hill for a DATA Act Demo Day, showing Members of Congress how standardized spending data can deliver transparency, better management, and automated compliance. The DATA Act Demo Day was presented by data.world. 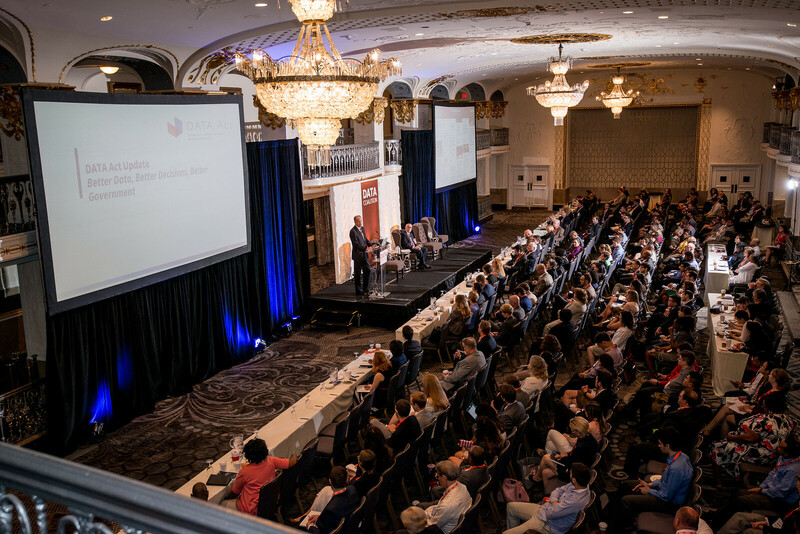 On June 29th, government and industry leaders will convene at the Mayflower Hotel for the all-day DATA Act Summit – and explore the transformation of federal spending from disconnected documents into open data. Speakers will be added to the website as they are confirmed.